Thank you for helping us put a smile on Neil’s face. 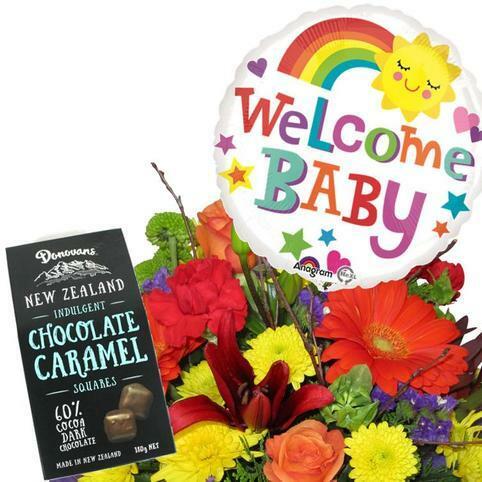 The Perfect Welcome Baby Package! 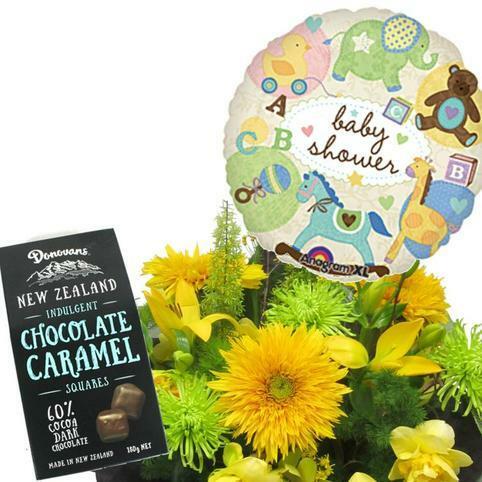 A lovely bouquet of flowers in a water-filled vox, with a floating Helium Baby Balloon and a delicious box of Donovan's Chocolate Caramels. We have a wide choice of balloons available and will choose the perfect balloon to match your flowers. 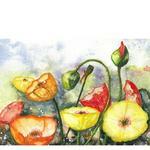 Please do tell us if your bouquet is for a Baby Boy or Baby Girl in the Notes to Florist section of your order. 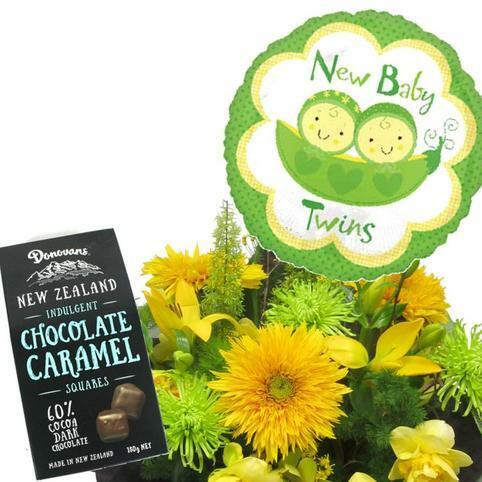 YES - We have Welcome Baby, Twins Balloons, Baby Shower Balloons, Baby Boy and Baby Girl Balloons. Large size cuddly baby bear, available in Pink or Blue. A very generous size bear - approx 55cm. 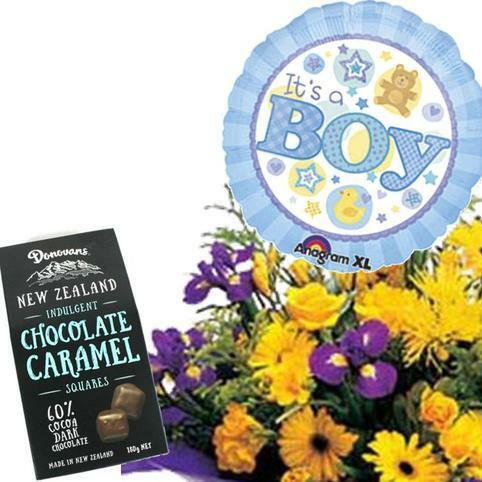 Please tell us in the Notes to Florist section of your order if you require Baby Boy or Girl.